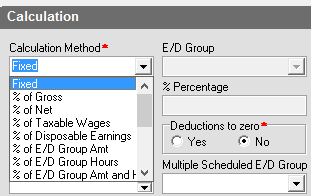 Each employee can only have one deduction/earnings code set up per type. For example; if you have one advance deduction set up you can't have another advance set up simultaneously. By simultaneously; this is referring to the "Effective Start Date and End Date" so you can set up a future one, so long as the start date is set up to occur without overlapping with the initial code. 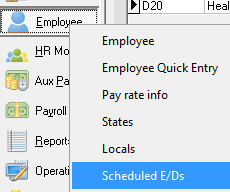 You can view all Scheduled E/D's for an employee from the "Browse Schedule E/D's" tab: here is an example of two advance deductions that don't overlap as the deduction start/end dates are properly spaced out. 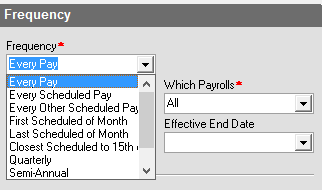 Using the future start date for a deduction is helpful for instance if you know a deduction is going to change say the payroll after next; like for an insurance change.